White people are more likely to say that Blackface is acceptable, at least some of the times, according to a Pew Research Center survey. Do we have more Blackface photos to uncover? Maybe, considering about 1/3, or about 34 percent of Americans believe that Blackface is either always or sometimes acceptable as part of a Halloween costume. Which timeline is this? Because this ain’t it, chief. A new Pew Research Center survey, which was incidentally conducted, for the most part, before Virginia Gov. Ralph Northam’s racist yearbook photo hit the news cycle (along with others), shows how some Americans feel about the hugely and historically problematic display. Perhaps not so surprisingly, the line is even more heavily divided across race. About 39 percent of white respondents believe that Blackface is “always” or “sometimes” acceptable, while only 18 percent of Black respondents and 28 percent of Hispanic respondents think the same. 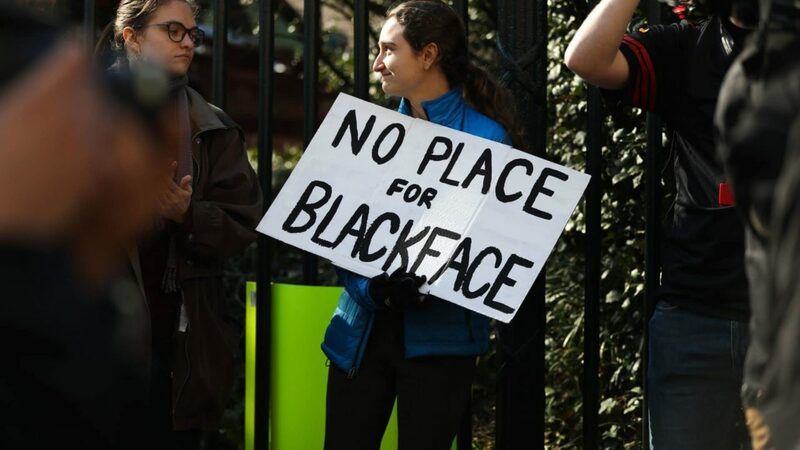 On the opposite side of the spectrum, about 46 percent of white respondents said Blackface is “rarely” or “never” acceptable, while 66 percent of Blacks and 50 percent of Hispanics had the same response. There is also a clear distinction along party lines. Of the respondents, 50 percent of Republicans or those who lean right, think it is acceptable to some degree, while only 37 believe it is rarely or never acceptable. On the left, or left-leaning, only 21 percent believe Blackface to be always or sometimes acceptable while a whopping 68 percent believe it is rarely or never acceptable. The survey was conducted from Jan 22. to Feb 5, 2019, and included an oversample of Black and Hispanic respondents. But back to the original point, if this is truly representative of how Americans feel, there may still be a few yearbooks (and other sources of media) to uncover, especially as there were also distinctions across age group for white respondents. Of white respondents 18-29, only about 26 percent think Blackface is acceptable to some degree, while 64 percent marked it as never or rarely acceptable. As we get to ages 30 to 49, about 39 percent of white respondents think Blackface is sometimes or always acceptable, while only 51 percent said it is rarely or never acceptable. By the time we get into the 50-64 age group, 45 percent of whites said it is always or sometimes acceptable, while 42 percent said it is rarely or never acceptable. And finally, 38 percent the 65+ group said it is acceptable at least some of the times, while 52 percent said it is rarely or never acceptable.